Quality Assurance with Medichem is a fundamental and important aspect in our cGMP compliant production of APIs. Our Quality System Management and up to date manufacturing techniques guarantee the consistent high quality of production through strict cGMP compliance. EU GMP certificates were granted of all our plants in Spain and Malta issued by the corresponding Medicines Agency. Celrà plant: No “Form 483” was issued (no observation was noted) during the last six consecutive FDA inspections at Medichem’s Spanish plant (1999, 2002, 2006, 2009, 2012 and at the last inspection in April 2015). Malta Plant: No “Form 483” was issued (no observation was noted) during the last two consecutive FDA inspections (2012 and at the last inspection in February 2015). The first ANDA submission of our FDF’s manufacturing plant (Malta Plant) was in 2016. We have received more than 100 customer audits during the last four years in our different production plants which help us to continually improve practices and maintain our high GMP level. GMPs are strictly adhered to, and significant resources (human and economic) are devoted to the validation effort. Our validation policy is supported by our VMP (Validation Master Plan). Manufacturing processes, analytical and cleaning methods are fully validated. Critical systems are also validated and equipment is qualified. 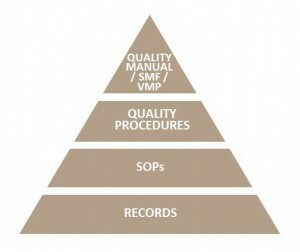 Quality risk management principles are applied to facilitate the development effort and quality improvement.